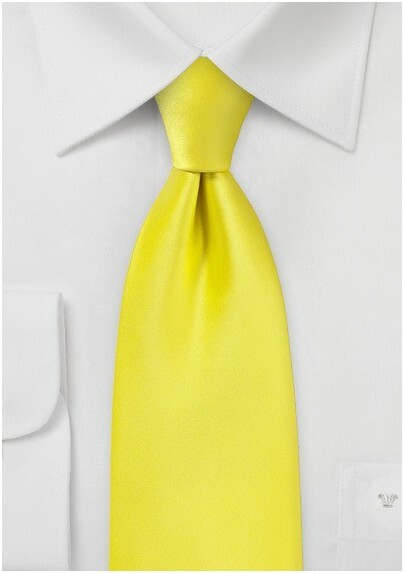 This stunning designer canary necktie in pure microfiber is vibrant and youthful in aesthetic, adding a friendly essence to your ensemble. The handcrafted material gives you a textile both stain and wrinkle resistant, and gives you a silk-esque look without the hefty price tag. This selection is a popular choice amongst weddings and other outdoor Summer events. 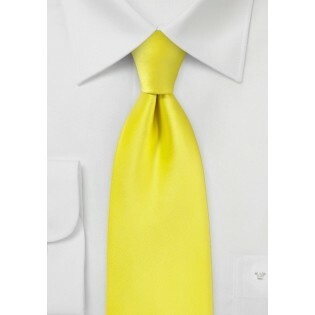 You can conveniently adjust this tie to the size of your choosing as it has a self-tie design.